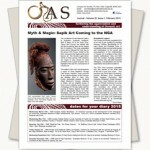 After a very successful Tribal Art Fair Sydney, eyes, minds and tastebuds are turning eagerly toward Melbourne. This year’s OAS Forum is to be held at the iconic Savage Club, an institution in the world’s ‘most livable’ city, and certainly home to one of the country’s largest private Oceanic art collections. Full details are available on the OAS website and members are encouraged to book quickly as only a limited number of places are still available for the 21 October event. This edition of the Journal celebrates the TAFS in images, with glimpses of the offerings, some of the sellers and their clients. It was the best fair yet and a harbinger of things to come. We also publish the final instalment of Barry Craig’s terrific series on the early collectors who contributed so much to the South Australian Museum, and who were all such interesting characters in their own right. Robin Hodgson reports on Mark Blackburn’s most recent talk at the Australian Museum, Stoned, which delighted the audience, not least with the unique opportunity to handle ancient and rare artefacts from Mark’s collection. Clementine Debrosse gives us a taste of the forthcoming exhibition of shields which will go up at the National Gallery of Australia in November, and Dr. Erna Lilje sheds some light on the changing role of museums and the treasure troves of material culture that they contain. 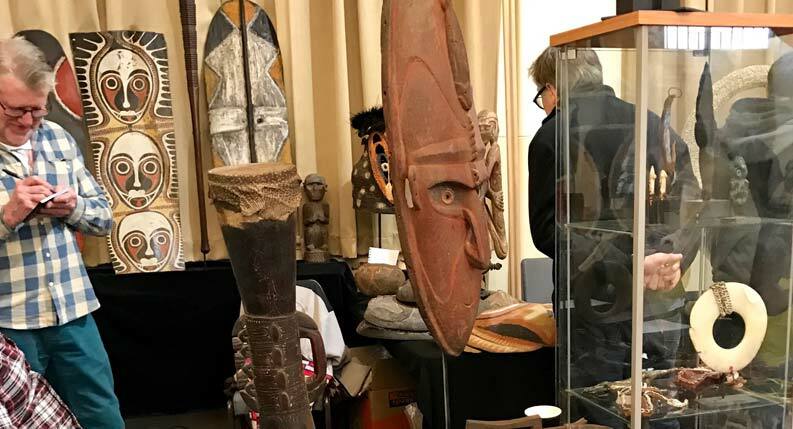 The next OAS talk will be by the highly esteemed Dr. Rod Ewins, on an area he has spent most of his life studying and contemplating: Fijian Gods, Sacred Objects and Temples. Anyone who can make this event, to be held at the Art Gallery of NSW, is surely in for a fascinating evening. 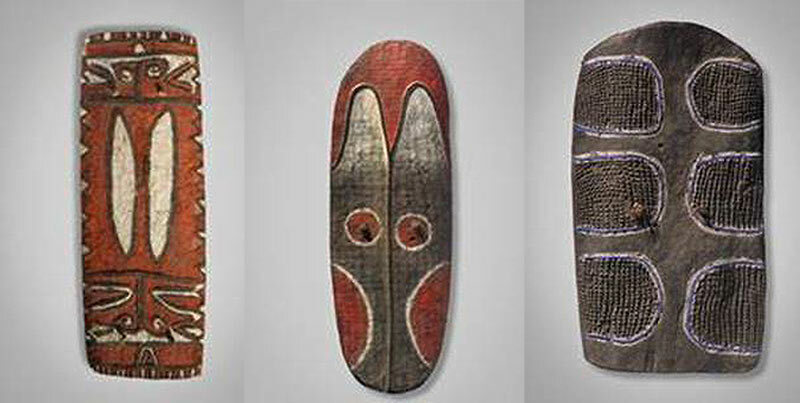 Three shields from Papua New Guinea, from our article on “The Art of Warfare in Papua New Guinea”.